Kindly search this page if you have any support issues. You may also feel free to contact us at cth@delta.dk. Only use the NI 9233 with IEPE devices which are powered directly from the NI 9233. It is extremely important to note that this is the only supported configuration, since the IEPE DC supply from the 9233 is designed such that the IEPE voltage is always on, and attempting to de-activate it by the front panel of noiseLAB, does not turn it off. This DC voltage can cause distortion, noise, and changes in frequency response of non IEPE devices coupled to the input of the 9233. Microphone preamplifiers with their own powering source, and no IEPE support. To prevent the above issues we recommend the use of National Instrument 9234 or other NI DSA cards where IEPE can be disabled. noiseLAB 4.0 will run on Windows XP Service Pack 3 through Windows 8. You may need to have administrator privileges to install noiseLAB which may be identified by Windows as an unknown source. Windows XP is not recommended, and support of noiseLAB 4.0 on Windows XP will be dropped at the end of 2014. If you are an existing user of noiseLAB 3.0 you can leave it installed on your computer. If you have installed beta or release candidate versions of noiseLAB 4.0 on your computer, you should uninstall these before installing noiseLAB 4.0.
noiseLAB 4.0 Capture can read project files (.nlp extension) from noiseLAB 3.0. You should run noiseLAB 4.0 in Administrator Mode to do this. You must keep the Windows font size at 100%. Any other setting will result in improper appearance of noiseLAB Front Panels. Window size: noiseLAB has a fixed windows size of 1024 x 768 pixels. Project files cannot be read if moved to a new disk location. This will be fixed in a new release. Autoscaling of graphs: In certain cases, the right click autoscale menu of graphs may be inconsistent with the current autoscaling state. To force consistency, select the desired autoscale function again. Load times of the program may be slow on older machines. Calibration by “stealing” the value from a file with a calibration tone: “Set as Calibration Source” function by right clicking on the Recording or hitting the “Calibrate” button. This only works correctly if the calibration source file is before the target files in the Recording list. This will be rectified in the next release. In rare cases, on networked machines the installation of noiseLAB Capture may result in very long boot times. This is due to the PC being connected to a .local domain. Sometimes this can be resolved by moving the PC to another port of a router, disconnecting from the network, or using a network which does not have a .local domain. For additional help, contact us at the email at the top of the page. Import of .wav files from some Brüel & Kjær instruments may result in overloaded or distorted signals. Workaround: User noiseLAB 3.0 to import, calibrate and edit the files. Then process the files sing noiseLAB 3.0 Batch Processor or noiseLAB 4 Batch Processor by setting its file import type to noiseLAB 3.0 Projects. Make sure all Windows processes that may result in automatic updates background processes are turned off. Make sure you have reliable powering of the PC. 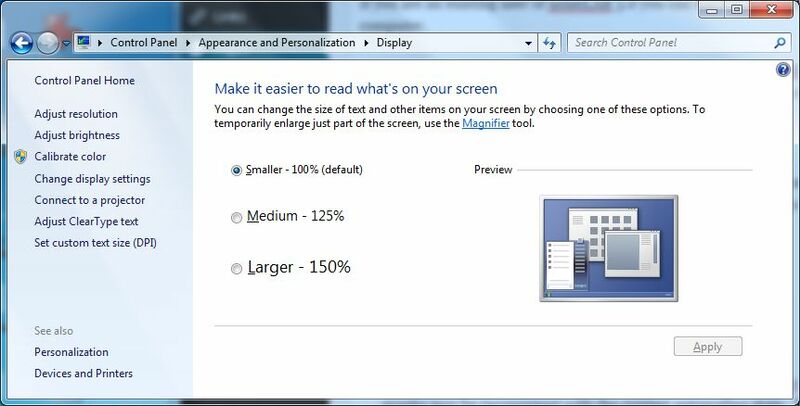 Make a test recording to determine the PCs capability. Do not make overnight recordings when time changes from summer to Winter time or vice versa occur. External USB3 disks have adequate performance for continuous recording. Demo mode did not offer full functionality. This has been fixed in 4.0.1. When switching inputs between Sound Card and Analog and back, the data acquisition will hang (Measure button does not active live data viewing), and the program must be restarted. This has been fixed in 4.0.2. Playback of sound files with 50 kS/s sampling frequencies or integer multiples and divisions hereof hangs noiseLAB Capture. Temporary fix in 4.0.2 by changing sampling frequency to nearest possible frequency, resulting a slight frequency shift of the playback sound. When exporting statistical values (Ln) to Excel, column headings must be offset one column to the right, such that headers for L(0.1) and L(99.9) are missing. Thus the values under L1 are actually L0.1 and so forth, and the value under the heading Sort #2 is actually L99.9. This also means that the column headers Sort#1 and Sort #2 must be moved two columns to the right. FFT Analysis may be not always execute successfully with certain combinations of delta F and Recording/Clip duration. Workaround: Choose time slice analysis, and set the slice duration to a few seconds shorter than the Recording/Clip duration. Will be fixed in the next release. Sound quality metrics. The THP Low Frequency function will result in memory overflow/crash. This has been fixed in 4.0.1. Maximum number of Recordings/Clip to analyze. The maximum number is typically in the range of a few hundred, but depends on the memory use of the analysis functions. FFT and Tone Analysis and Slice Analysis typically use the most memory, since massive amounts of data can be created by the analysis. If you run into issues, reduce the number of items to analyze in one batch run. Excel output: The files stored by noiseLAB are tab delimited files which can be read by Excel. For storage of high resolution FFT Spectra, the maximum number of columns in Excel (2^15) is not sufficient to show all spectra values. Reading of TDMS files in Excel. A free TDMS plug for Excel is available at the National Instruments web site. Excel cannot load all data from large TDMS recordings. Only one file at a time can be analyzed. The option to weight FFT spectra with A B or C weightings is not possible. System settings must use period as decimal point to import files properly. Import of .wav files is not a simple file listing operation, in which case it would be very quick. The import process creates a set of waveforms in National Instruments TDMS format. For each channel the raw .wav file is converted to a 32-bit floating point version, along a Fast A weighted sound level as a function of time with multiple decimation factors, and also a separate track with numeric overload in each point of the entire file. This is done to make subsequent display and editing of files fast, almost independent of the duration of the signal. In addition, the TDMS waveform can be embedded with a large number of properties that are project specific, so each channel of the waveform can carry transducer metadata, calibration information, including history, project information such as meteo data, operator, links to associated photo or video files etc. Thus, once calibrated and documented, the TDMS waveform becomes a portable, self-documented signal. An analogy is the EXIF meta data embedded in digital photos. You can view the metadata using a TDMS Viewer built into noiseLAB Capture. Right click on the ? mark in the upper right hand corner of the window. The .wav files are never modified by noiseLAB during import, and once imported, are not used again. Of course, it is always a good idea to keep your original raw data anyway. This one time process gives much greater performance and capability later on.